Lennox has been serving the commercial and residential communities since 1895. They were the first company to introduce the riveted steel furnace. Since then the company has dedicated their service to provide quality products for home comfort. 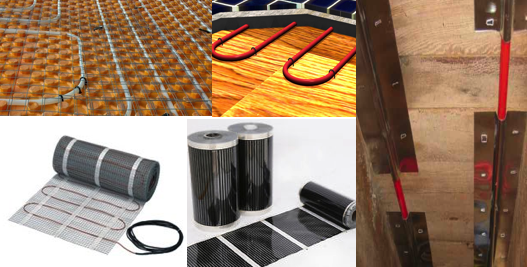 The company has over 60 energy efficient products in their inventory. One of their signature products is the Dave Lennox Signature Collection. These innovative systems include heating, cooling and indoor systems. 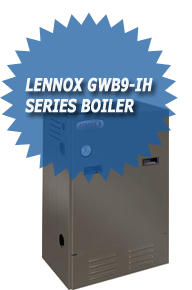 One of these systems is the Lennox GWB9-IH Series Gas Fired Water Boilers. The Lennox GWB9-IH Gas Fired Water Boiler is available in three different models the GWB9-050IH, the GWB9-075IH and the GWB9-100IH. The BTUH input on the GWB0-050H is 50,000 with a heating capacity of 45,000 Btu’s. It also has a Net IBR Rating of 39,000 with an AFUE of 90%. The Model GWB9-075Ih has an Input BTU of 75,000 and a heating capacity of 68,000. The IBR BTU is 59,000 and the AFUE is 90%. Lastly, the GWB9-100Ih has an Input BTU of 100,000 with a heating capacity of 90,000. The IBR is 78,000 BTU’s and the AFUE is 90%. The AFUE or the Annual Fuel Utilization Efficiency as well as the Heating Capacity is taken from the Department of Energy’s test procedures. Each unit has a Low Temperature Supply and Return Water. By using this system, it makes the Lennox GWB9-IH Series perfect for radiant heating systems without using other mixing instruments. These boilers must use CPVC pipe for the first 5 feet of venting. This piping comes with the boiler that you choose. You may use PVC for the remainder of the venting process. The Lennox GXB9-IH Gas Fired Water Boiler has some features that would greatly benefit using this boiler in your home. Two of these features offer a cost effective way to heat your home, this is due in part to the Cast Aluminum Heat Exchanger. This hear exchanger uses very efficient materials that will heat up a boiler about 3 times faster than a standard cast iron heat exchanger. These units are also Sealed Combustion Systems that will decrease fan noise and allow you the comfort of your heating system without a lot of noise. 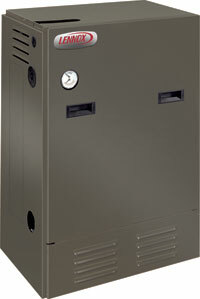 The Lennox GWB9-IH Boiler also offers a system that is made from an aluminum alloy; this material has been tested to show that is resistant to rust and corrosion. This will prolong the life of your Lennox gas Fired Water Boiler. Each unit is fabricated with a strong painted cabinet. The cabinet is made from a heavy gauge steel that includes a baked on paint finish that will hold up for many years to come. The Lennox GWB9-IH Series Boilers are all Energy Star rated, this means you can rest assured that these boilers will safely and efficiently heat your home for less. The Lennox GWB9-IH Gas Fired Water Boiler comes with a 15 year limited warranty on the heat exchanger and a 10-year limited warranty on the remaining covered parts of the boiler. . Every unit is fire tested before being shipped out. I just had my old unit- GWB9-100IH2, get a crack in it, just wondering if I should replace with similar unit or are there better ones out there. It lasted 13 years.